Tweety (aka Tweety Pie or Tweety Bird) is a fictional character in the Warner Bros. Looney Tunes and Merrie Melodies series of animated cartoons. 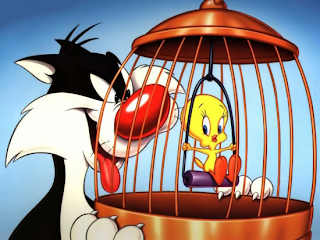 Fairly popular during the late 1940s, 1950s, and 1960s, Tweety's popularity, like that of The Tasmanian Devil, actually grew in the years following the dissolution of the Looney Tunes cartoons. 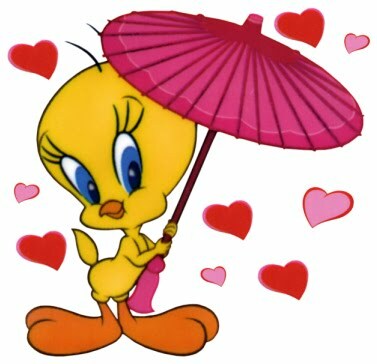 Today, Tweety is considered, along with Taz and Bugs Bunny, among the most popular of the Looney Tunes characters, especially (because of his "cute" appearance and personality) among girls and young women. Despite widespread speculation to the contrary, Tweety is and has always been a male character.